If you’ve been in around Derby over the past few weeks, you may have seen one of our latest works for QUAD. 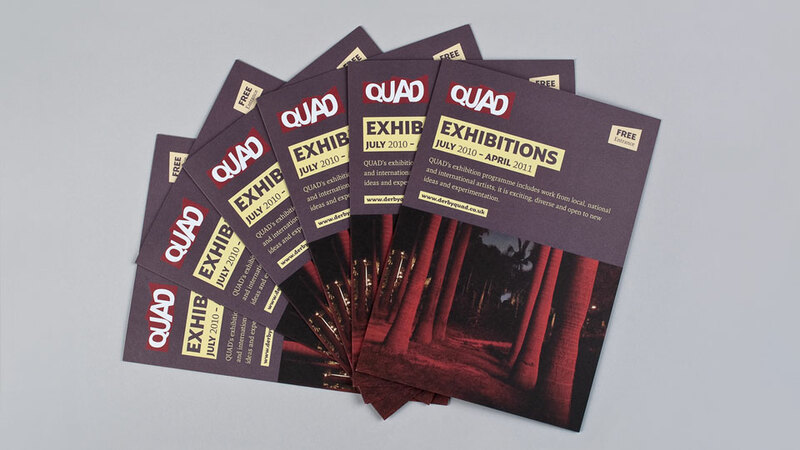 We were commissioned to design their latest Exhibition Guide, which gives you information on the upcoming exhibitions at Quad until April 2011. The guide includes information on the Format Festival, the UK’s leading biennale of contemporary photography and related media. You will be able to find thee all over Derby, 20,000 were printed!